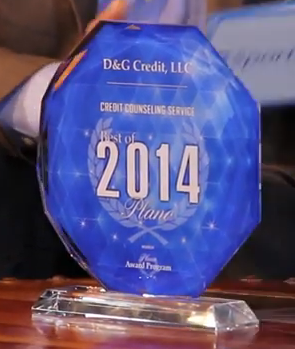 Our team will craft a customized plan in addition to disputing your credit file. We will teach you how to improve your credit with payments, balances, types of accounts and even building credit. "The software targets and disputes erroneous accounts reporting on your credit report. If the objective is not achieved once our process is complete, the next juncture is to settle the legitimate accounts at a discount." DISCOVERY: The first stage of the process is to define the exact goals. We will create you an account so that you can complete our Fact Finder. This will give use in-depth details look so that we can understand your desires. We will then evaluate your credit to determine a path needed. Click on Sign Up and complete the online form. Once we receive your information we will create your account. TECHNOLOGY: With your permission, our computer program works on all the negative accounts, simultaneously using raw data and the guidelines of the FCRA and FDCPA to uphold the accuracy of your file light years ahead of the old fashioned hand written letters. ACTION: Once you have enrolled, your adviser will provide you with a Goal Plan and detailed steps for you to follow. Goal Plans will have Tasks that when started will create a daily To-Do-List for you to easily complete. Remember it takes your actions as well to have success; you must complete the Task in your Goal Plan! It’s Important to realize that there is more than one phase to better credit. To have success, you must complete your Goal Plan! SETTLEMENT: Final step is to negotiation problem account. Not all collection may need to be paid to obtain your necessary results. One of our IAPDA certified staff will guide you through the negotiation process of negotiating with your creditors. IAPDA Settlement guidance is included in our flat program fee. We make sure your SIF (settlement in full) letter is worded property to insure no balances can be sold. Initial Consultation $300. Action-Plan support and conferencing with you, your lender, realtor and builder. Our way of saying thank you to our military personnel - with your DD214 - we will give you a $100 military discount with your program fee! I believed in helping those that - typically through no fault of their own - found themselves in dire straits. I love teaching and educating people - sometimes with just a few simple changes, I can make a difference in someone's life. I Have worked in the financial industry for over 20 years, including with one of the 3 major credit reporting agencies and have over 5 years experience and was I.A.P.D.A. certified in the debt settlement industry. I am extremely excited and proud to be marketing this credit report correction computer system. There's nothing like it! My objective is to help as many people as I can through this simple computer program. You can hit the request for more information button, call or email us. You'll be glad you did! After spending several years as an operations and training NCO in the Marine Corps, training and teaching has stayed in my blood. Transitioning from several industries as a top producer and trainer, I never tire in helping people from all walks of life. My time in the debt settlement industry as a top producer speaker and trainer, helping others learn to do it ethically has always been key. With the background in debt settlement as I.A.P.D.A. certified, and time spent with one of the 3 major credit bureaus, gives D & G a unique perspective that allows us to serve our customers. Come Join our Happy Clients! Here is what a few of our customers have to say about our program. "All we had to do was our Action Plan"
We’d been with a credit repair company before – spent over $3,000 – and it didn’t work. To say we were skeptical – was an understatement! Our lender told us, this is the only company he trust. After we spoke, I knew this was different. The Action Plan alone is worth the whole fee! Before, we had to send everything back to that company – all we had to do with D&G was our Action Plan – a road map! Boy! Are we glad we called and listened! "That debt followed me for 15 YEARS"
41 items deleted from my file in the FIRST 45 days – added up to almost $50,000 of debt erased! That debt followed me for 15 YEARS – all I know, is this system works! "FICO score jumped from 612 to 682"
Dana, good news, we’ve deleted 7 accounts and wiped out over $21,000 in debt, that the debt collectors didn’t have any incentive to remove until you “chatted” with them. Thanks for helping me with my credit score, as you know my credit was a real mess, and now after 3 rounds, one FICO score jumped from 612 to 682, and another went from 588 to 758 Thanks for helping me clean up my credit.